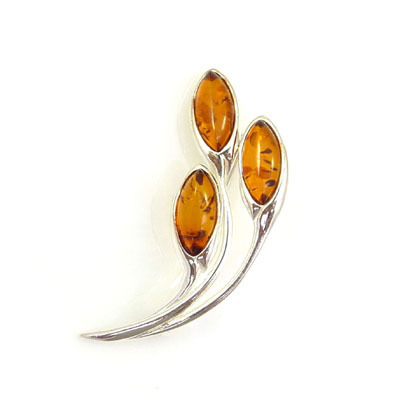 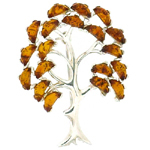 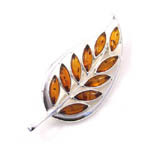 Leaf brooch encrusted with amber stones on a sterling silver frame. 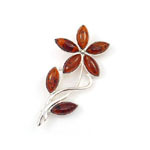 Size: 1.8 x 4.5 cms. 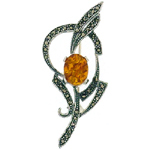 Presented in a Brooches Store black flocked gift box.